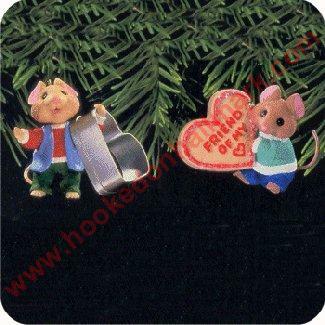 Home > Hallmark Ornaments By Year > 1998 Hallmark Ornaments > 1998 Friend of My Heart - give one/keep one! One design to give to a friend, another to keep for yourself. Package contains set of 2 individually boxed ornaments. One design to give to a friend, another to keep for yourself.